Next to buying a new home, delving into a remodel of your current home is a big investment. But when you buy a new place, you already know what the end result looks like. With a remodel, you have a vision, and perhaps, some blueprints—and a lot of hope. That’s why it is essential to ask the right questions to get the best home remodeling in Raleigh. How long have you been in business? Although every company starts off new at some point, this question separates the established businesses from potential fly by night companies. In addition to stability, working with a company that has a depth of experience is important when remodeling. NC Home Remodeling, for example, is a full service home remodeling company serving Raleigh and surrounding counties. With more than 17 years of experience, we are experts at meeting our customers’ remodeling needs. Are you licensed? 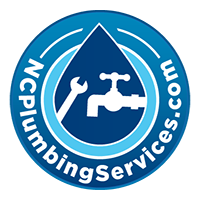 A state issued license, such as for plumbers, deems that you have the knowledge and experience to engage in the business of plumbing, and is required by the state of North Carolina. NC Home Remodeling owner Dave Noffsinger carries an unlimited class 1 license in the state, certifying him to work in commercial, residential, industrial and institutional businesses. I can’t afford a full renovation. Can you still help me? Some remodelers prefer to handle big jobs. Others are more adept at handling the small ones. Finding the one that can handle what you need is key. Whether you want to install a full spa or just tackle some upgrades, we can provide a practical, yet pampering bathroom impact—all while respecting your wishes and your budget. Why should I choose you? Every remodeling business has—or should have—its main selling point. Hopefully, it’s one that resonates with you. We pride ourselves in using quality material, completing work efficiently and with quality results, while providing excellent customer service. Some businesses keep trying to “upsell” you. We are respectful of your needs and budget and don’t believe in pressured sales. What do previous customers say about your work? The best predictor of a happy future customer is a happy previous customer. Ask what customers’ experience has been. Find out if you can talk with some of them. Check out the testimonials on the website and on independent review sites. Our customers describe us as the “go to” company, with responsive, knowledgeable service professionals who provide great service. By asking the right questions of home remodel candidates, you can feel confident that the company you select will give you the outcome you’re dreaming of. 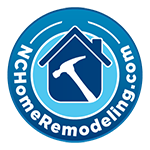 If you’re considering remodeling your home, give NC Home Remodeling a call at 919-868-3585, we work in the Raleigh, NC and Cary, Durham, Morrisville and Wake County Triangle areas. No Replies to "Finding the Best Home Remodeling In Raleigh"